A new CNN poll released on Monday revealed how Americans feel about Vice President Mike Pence — if they know who he is. The survey asked respondents if they have a favorable or unfavorable opinion of specific people in the news, including Pence. They could choose favorable, unfavorable, never heard of, or no opinion. 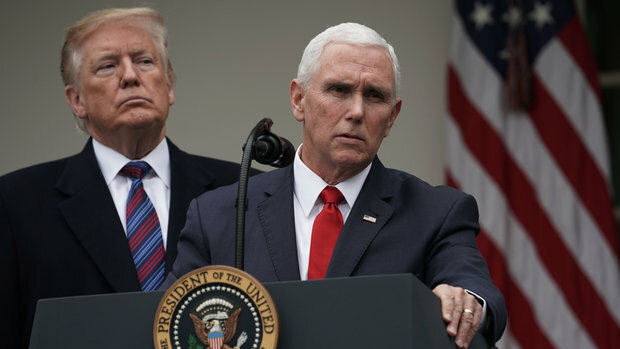 Seventeen percent of those who said they never heard of Mike Pence are women, 21 percent are non-white, 18 percent are between the ages of 18 and 34, 16 percent are non-college graduates, and 16 percent are Democrats. So true lol. I was watching the State of the Union address (which I think was very well done) and I was wondering, who is that guy behind trump next to Nancy Pelosi? So I googled “who is the guy standing behind trump”. Turns out it’s our vice president! I knew his last name was Pence but literally knew nothing else about him, including what he looked like! If it is CNN they are probably polling a disproportionate number of Democrats. Biden and Gore had both previously run for president so it isn’t a fair comparison. Cheney, Mondale, Nixon and Truman would be fairer comparisons (since they became Vice-President without having run for president). If he runs for president, having been Trump’s loyal vice-president will be good enough for “deplorables”, and not being known at all will help with the rest.